Tom Tomkiewicz remembers when there were so many lobster traps in Buzzards Bay it looked as if he could walk across the water on their buoys. Now, the 42-year-old lobsterman and his dwindling number of colleagues have to set their traps far out to sea, well beyond view of the coast, to catch the few lobsters that remain. In the colder waters off the coast of Maine, lobstermen have been hauling in record catches. But south of Cape Cod, where rising sea temperatures have contributed to the decimation of the lobster population, the industry has collapsed. In some areas, catches have plunged 90 percent below their peak in the late 1990s, leaving scant hope that a once-storied fishery can recover. The steep decline has left regulators in a quandary: Should they tighten fishing restrictions in the hope of preserving what’s left of the lobster population? Or accept that conservation efforts may be futile and let lobstermen continue setting thousands of traps? Even scientists who have sought tighter restrictions in hopes of saving the region’s lobster population acknowledge such efforts may be in vain. “If temperature is the main driver of what’s happening, I have doubts that much can be done,” said Jim Manning, an oceanographer with the National Oceanic and Atmospheric Administration in Woods Hole who runs a program that monitors lobsters from New York to Nova Scotia. For an iconic New England industry, the picture is devastating. In New York, lobstermen caught just 218,000 pounds last year, down from more than 9.4 million pounds in 1999. 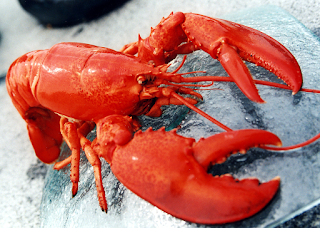 In Connecticut, the lobster catch plummeted from 3.7 million pounds in 1998 to fewer than 259,000 pounds last year, while Rhode Island’s catch fell from 8.2 million pounds in 1998 to 2.3 million pounds last year. In the Massachusetts waters south of Cape Cod, such as Buzzards Bay, last year’s catch had fallen about 60 percent below its 1998 peak. Despite the precipitous drop, fishing regulators have tabled or rejected a range of proposals aimed at conserving the species. Many of the remaining lobstermen, who have complied with trap reductions in the past, are hoping regulators won’t impose further restrictions and will let them fish what’s left of the population, as rising lobster prices have made the catch increasingly valuable in recent years. Last year, the lobster landed in Massachusetts was worth $82 million — nearly double the value in 1990, when the catch was roughly the same size. But scientists worry that without more aggressive action, lobsters in the region could soon become commercially extinct. At the same time, Reardon acknowledged the possible futility of conservation efforts.